Lenovo-owned Motorola has launched its much-awaited Moto Z2 Play smartphone in the US. 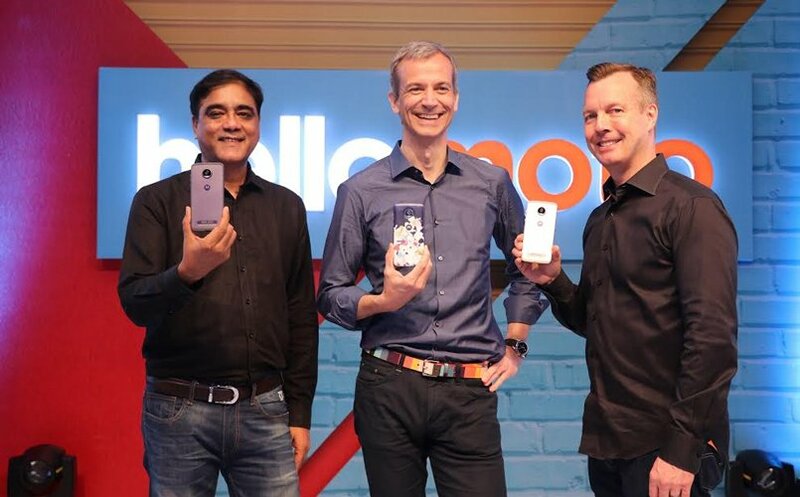 Just like its predecessor, the Moto Z Play, the Z2 Play is also a mid-range smartphone which will sell for $499 (Rs 32,000 approx) and will be available via Verizon or Motorola’s website starting this summer. To recap, the Moto Z Play was launched in India for Rs 24,999. The company, however, has not yet revealed its plan to launch the smartphone in other markets including India. The smartphone will be made available in Lunar Grey and Fine Gold colour variants. What still remains the talking point of the phone is the Moto Mods. Motorola has revealed four new Mods for its Z line of smartphones: the JBL SoundBoost 2, the Moto TurboPower Pack, Moto Style Shells with Wireless Charging, and the Moto GamePad. While the price for the other mods is not known as yet, the SoundBoost 2, TurboPower Pack, and GamePad will sell for $79.99 (Rs 5,100 approx), while the wireless charging Style Shells are $39.99 (Rs 2,500 approx) per piece. Motorola says that the mods will also be available for purchase starting this summer. In terms of design, Motorola has given a major change to the design as compared to last year’s phone. While the Moto Z Play featured a glass back, the new Moto Z2 Play now comes with a smooth metal unibody design. However, what remains common between the two devices is the connecting pins for the Moto Mods. The connecting pins still reside at the back of the phone. At the back nothing, much has changed, the rear camera is round and still comes with a bump and a ring surrounding it. Up front, there is the fingerprint scanner placed underneath the Home Button in capsule-like shape. The smartphone features a 5.5-inch, 1080p AMOLED display. Under the hood, the smartphone is powered by a Qualcomm Snapdragon 626 SoC paired with 3GB or 4GB of RAM. There is also an option to expand the storage further via a microSD card up to 64GB. On the camera front, the smartphone comes with a 12-megapixel dual-pixel autofocus camera with f/1.7. Up front, there is a 5-megapixel selfie camera with f/2.2 and dual LED flash. Keeping the smartphone ticking is a 3,000mAh battery. Yes, Motorola has downgraded the battery from 3,510mAh to 3,000mAH in the Moto Z2 Play. However, the company claims that chipset will fill in that gap. The battery is also supported with TurboPower and Motorola says the phone will good enough to last up to 30 hours of battery life between charges. Apart from that, the smartphone also comes with nano-coating that works as a water-repellent. 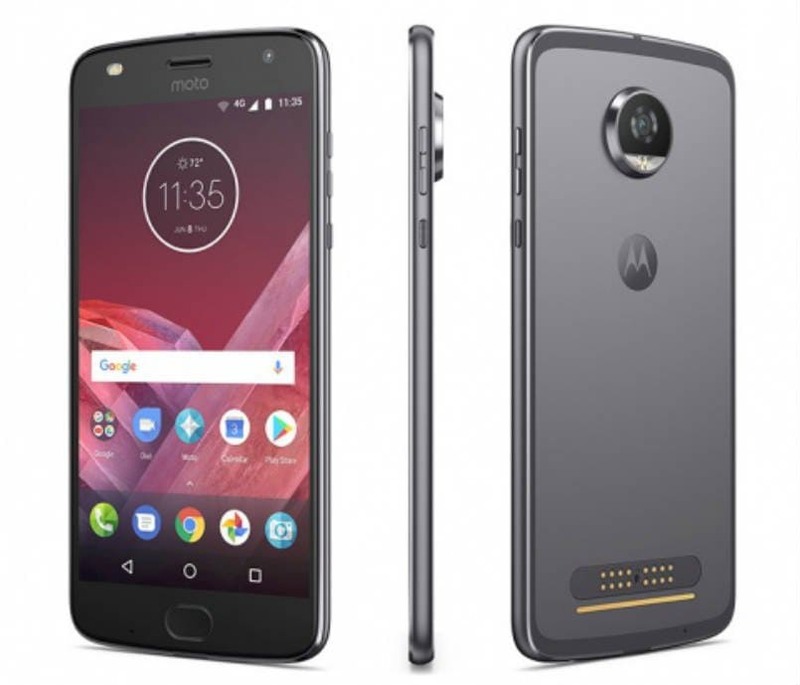 The Moto Z Play also features a fingerprint scanner, and connectivity options like dual-SIM support, Bluetooth 4.0 LE, Wi-Fi and USB Type-C port. Unlike the Moto Z, this smartphone comes with the 3.5mm audio jack. On the software front, the smartphone runs on Android 7.1.1 Nougat out-of-the-box. Additionally, the smartphone comes with sensors that include, accelerometer, ambient light sensor, gyroscope, magnetometer, and proximity sensor. To put things into perspective, the last year’s Moto Z Play features a 5.5-inch full HD (1080p) Super AMOLED display, Snapdragon 625 octa-core processor and 3GB of RAM. It also comes with 32GB storage onboard, which is further expandable up to 2TB via a microSD card. In the photography front, the Moto Z Play sports a 16-megapixel rear camera with laser auto-focus, PDAF, f/2.0 aperture, and 4K video recording capabilities. Up front, the smartphone sports a 5-megapixel selfie camera. A week after its international debut, the Moto Z2 Play launched in India today at Rs 27,999. You can pre-book the smartphone through the company’s official website or Flipkart, and avail some of the interesting offers available. It is to be noted that the Moto Z2 Play is available through multiple channels and will be sold even at offline stores. It will start shipping from June 15.